How fast can you go from A to B, over a narrow, twisty road that you have only seen twice before? That is the task that all rally drivers in the British Rally Championship face every time they start a special stage. Winners come from the crews that have the lowest time, or in other words, have covered the timed special stages in the quickest time. When not on these tests the crews are governed by the same traffic laws as you and I. 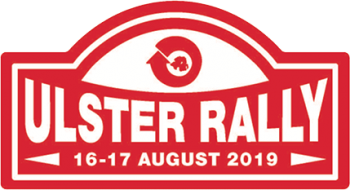 Six events covering the British Isles make up the 2019 British Rally Championship. What makes the BRC so different from other events across the country? Reconnaissance – the BRC is the only series where competitors get to make their own pace notes of the stages before they compete over them. A two pass, convoy recce takes place on all the gravel rallies. This gives the crews the chance to make descriptive notes on what the road is like and at what speed they should be able to drive the stage. Set servicing opportunities – competitors will only get the change to refettle their cars when they get back to the main service park for each event. Any servicing at the roadside can only be carried out by the crew with spares carried in the car, so no outside assistance is allowed. More mileage than normal – most gravel rallies in the UK offer a maximum of 45 competitive miles. A gravel BRC round will average 80 miles, whilst the asphalt rounds will offer the challenge of nearly 160 competitive miles.